The Sharing Education and Learning for Life (S.E.L.L) programme has supported the formation of young people as a peace building programme for young adults and vulnerable groups for the past ten years. The SELL programme is an initiative of St Patrick’s Missionary Society. March 17th yearly has been set aside to mark the day through sensitization, dialogue, capacity building and other life transforming programmes for young adults in the communities. SELL Day 2018 is the second in the series with the theme: YOUTH EMPLOYABILITY: BRIDGING THE GAP BETWEEN THEORY AND PRAXIS. This years’ Celebration began with a holy Mass and was co-celebrated by His Lordship the Catholic Bishop of Bauchi Diocese, Most Rev. Dr. Hilary N. Dachelem CMF, Frs. Benjamin Garba, Gregory Zungdet and Patrick Esekon, SPS. 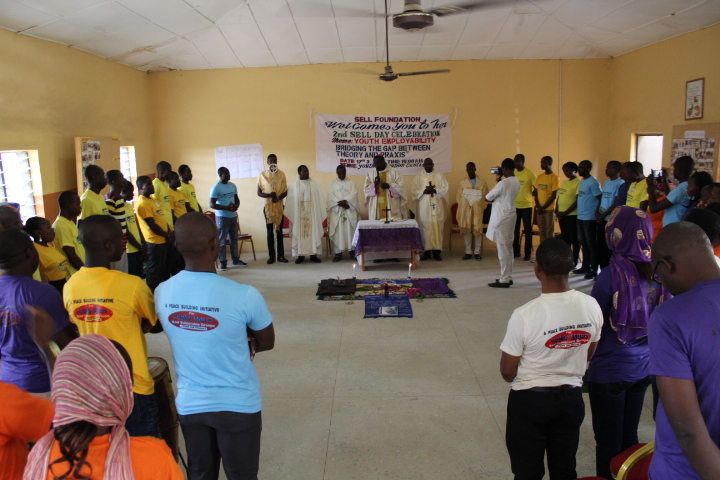 Discussion forum on the theme of the celebration preceded the Holy Mass. The discussants were drawn from different government agencies, Religious Bodies, and Non-governmental organizations. They were: Engr Ibrahim Yusuf from Industrial training fund (ITF), Mr. James Dogara from Development Exchange Centre (DEC), Rev. Fr. 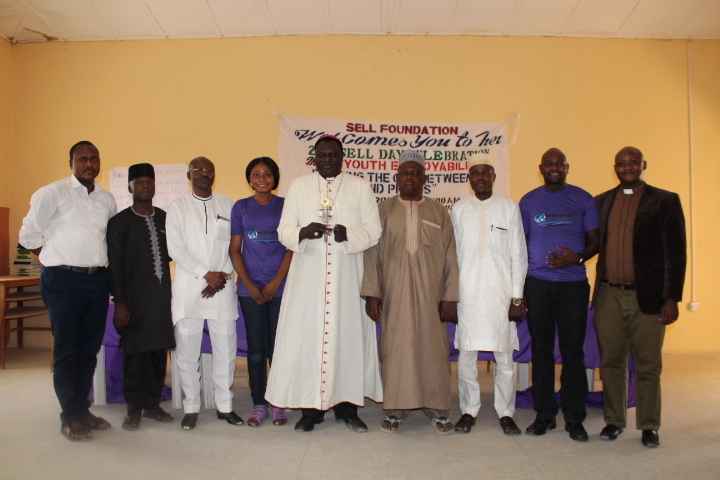 Justine Dyikuk, Editor of Bauchi Caritas and Chaplain Catholic Youth Organization of Nigeria (CYON) Bauchi Diocese. Other panelists were Baba Waziri, representative of Abdulahi Bin Abbas Mosque, Mr. Gwamis of Youth Wing Christian Association of Nigeria (YOWICAN) Bauchi State and Mary James of SELL Resource Team. The second SELL Day celebration was one of its kinds. It brought together youths from different spheres of life within Bauchi metropolis and North Eastern Nigeria who got the opportunity to talk about the challenges they contend with in this century, ranging from favoritism in employment other than merit and uneven distribution of resources. In his contribution the Chaplain of the CYON Bauchi Diocese Fr. Justine Dyikuk, contributed that youths and the government of Nigeria share the blame for what young people are facing today. He added that the Government is not showing commitment in tackling the myriad of problems militating against the young people while some of the young people are not ready to embrace opportunities and take risks. Bishop Hilary who also talked on risk added that there are three categories of risks which are, risk bearers, risk converters and risk takers. 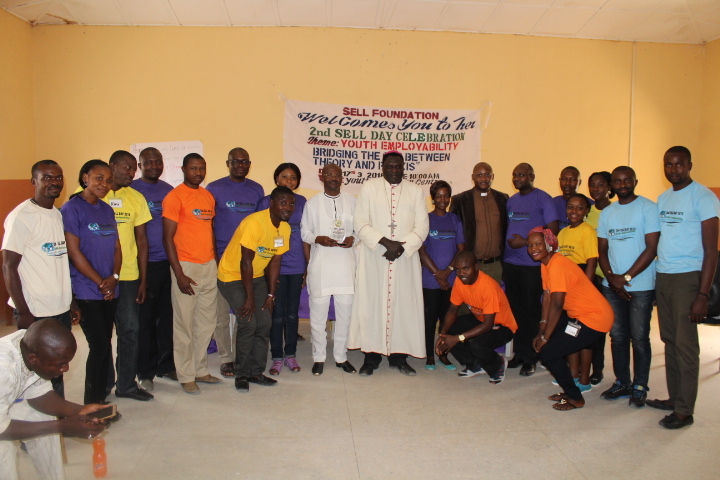 He challenged the youths on who they are and also called on them to explore opportunities around their environment. He added that young people should get started and never give-up. Mary James in her contribution said, self education is key to being employable. She said opportunities abound but only those who have fortified themselves and are prepared can benefit from it. She concluded with a quote by Alvin Toffler “The illiterate of the twenty first century will not be those who cannot read and write, but those who cannot learn, unlearn and relearn”. Rev. Bro James Awiah a Ghanaian native working with the Presentation Brothers Secondary School in Tafawa Balewa, Bauchi State Nigeria encouraged the youths of Nigeria to be positive in criticizing rather than apportioning blames on the leaders, he said the young people talk a lot but do little. He called on all to be positive and embrace peace for development in our country. In addition to what other discussants have said, Engineer Ibrahim rounded up the discussions saying, Informal human capital development is more important in the entrepreneurial sector than the wage sector (Cowling et al, 2004). He added that Youth should engage in problem solving skills to become employable. To round up the discussions, an award of recognition was given to the management of Industrial Training Fund (ITF) for their support to SELL programme through entrepreneurial skill training. 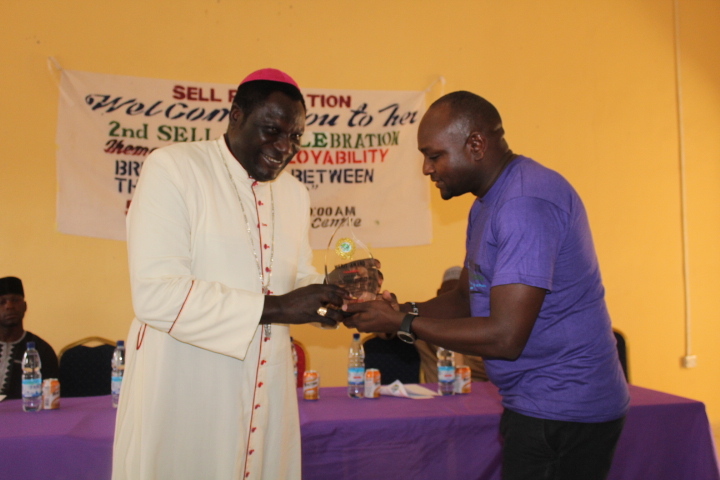 Bishop Hilary Dachelem also received an award for his support to the development of youths in Bauchi Dioceses. 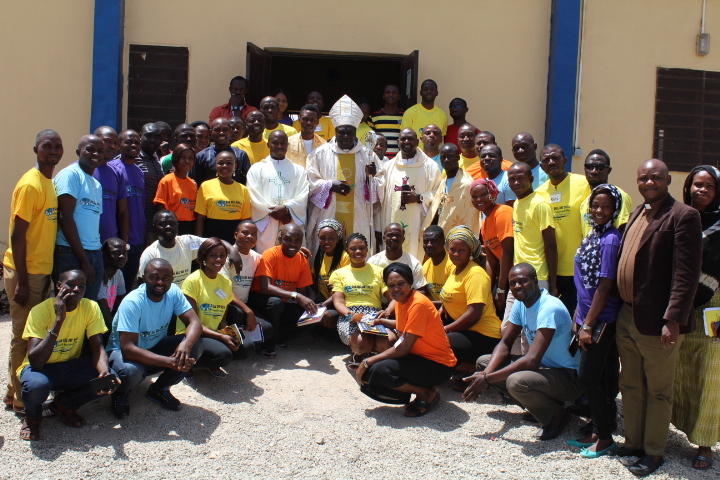 We want to thank God for giving us the opportunity to mark the day and also thank our dear Bishop, Hilary Dachelem CMF, the Youth Chaplain Fr. Justine Dyikuk, our discussants, the management staff (ITF) Bauchi Area office, management and staff of (DEC), YOWICAN, representatives of Abdullahi Ibin Abbas Mosque, and Rev. Fr. Gregory Zungdet for all their supports and contributions towards Youth Development in the North East and Plateau states, Nigeria. Namaste!